Avoid costly repairs to your home. Have your gutters cleaned! Don’t give your gutters a chance to destroy the foundation of your home. Give us a call today! Ready for a Superior Gutter and Downspout Cleaning? 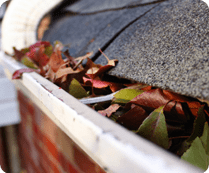 Clogged gutters and downspouts are often the primary cause of unsightly streaks and stains on most houses, and can lead to many other problems as well. While we would love to pressure wash the exterior of your home when needed, one of the best ways to prolong its beauty and prevent unnecessary cost is with regular gutter cleaning. Having your gutters and gutter guards cleaned on a regular basis can save a lot of money in the long run. With many years as an experienced company providing gutter cleaning in Birmingham, AL, Superior Cleaning Service will produce the results you expect from the very start. Our quality approach to gutter cleaning will provide you with the assurance of a professional job every time. We’re committed to outstanding customer service and a job well done. Our cleaning process includes a complete and thorough inspection of all gutters and downspouts. We clean the roof of any loose debris, clean the gutters, and make sure the downspouts are clear and free-flowing. We provide a detailed report of any problems we see during the process as well. And after the cleaning, we clean up all the debris that gets on the ground and use a blower to clean all surrounding areas. We have full and comprehensive insurance, and all work is performed with the owner/manager present. 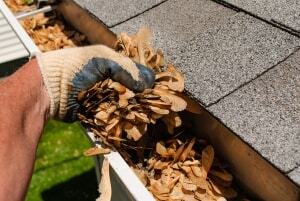 In addition, we can schedule routine maintenance for your gutter cleaning needs if desired. We also offers both residential and commercial window cleaning services. If you want one company to maintain the curb appeal of your property, give Superior Cleaning Service a call. Superior Cleaning is here to help protect the foundation, walls, and roof of your home with downspout and gutter cleaning that will make all of your neighbors jealous. Call today for an affordable and fast gutter cleaning!